How to get there: From a dirt road going west off the highway going north from Silverthorne in Summit county (One hour west of Denver on I-70). Route description: We hiked to Lost Lake(3092m) and ascended the big boulder field leading up to O (also called Little Powell). From there we traversed the ridge to first N (3999m) and onwards to M. M was climbed from the north side with a very nice set of ledges leading to a final ramp to the top. Easy scrambling. Comments: Mountains in this area have alphabet names, the area is quite remote. Guyselman is a named summit, but the vertical drop to its higher neighbor (parent) "L" (4027 m) is only about 73 meters, so it is not ranked (by a 100 meter, or 300 foot criteria). This mountain is not visited often, the "guestbook" at the summit was still on its first page. Only a handful persons have visited over the last 60 years. 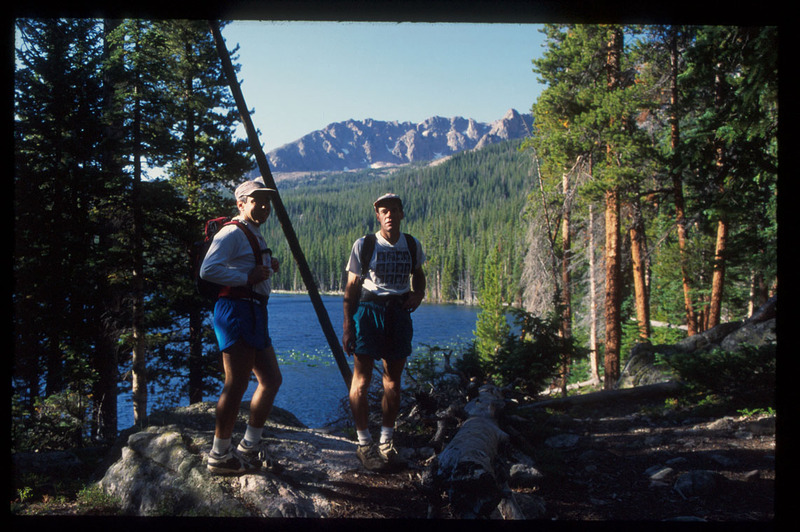 It may be that this trip was the very first traverse across the tree peaks O, N, to M. It looked very interesting to continue the traverse to L, but time would then have run out and we would most likely have ended up in Vail. 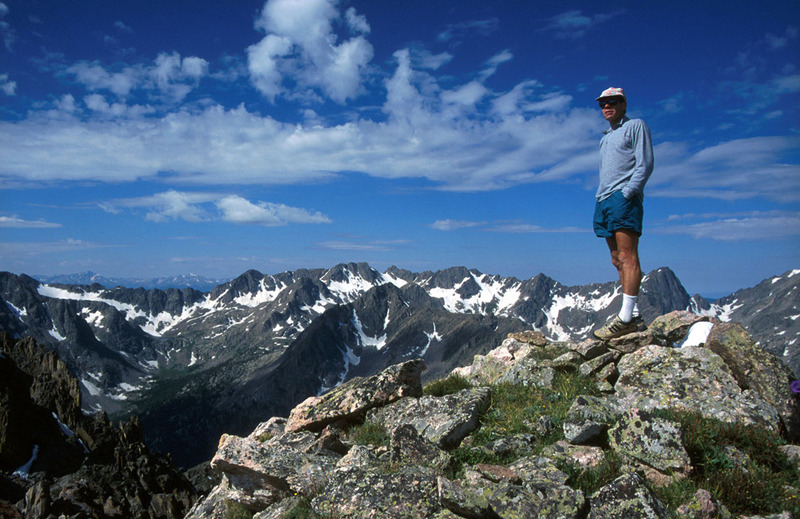 Trip report: I had agreed with Bill Briggs to go hiking together in the Colorado mountains after reaching my friend Sverre's house in Lakewood. We (me plus family) had just completed a big trip by car starting in Minnesota, going first west to Seattle, then back east to Denver. When I called Bill and suggested that we meet around 5 AM the next morning, he said that "he had a project", that his friend Stan Wagon would come along, and, by the way, we should really meet at 4 AM, at the latest. The next morning, we met at I-70, I parked my car and we continued west in Stan's 4WD. Leaving I-70 in Silverthorne, we went north on Hwy. 9, then took a dirt road up into the Gore Range, to a trailhead for the Lost Lake trail. This road was in bad shape, and only a sturdy, high clearance 4WD could make it up. We hiked to Lost Lake and continued through the forest in the direction of Peak O. The peaks in the Gore Range have been assigned letters, virtually the entire alphabet is represented. Once above the treeline, we continued up a large slope of boulders. Soon thereafter, we reached out first summit, "O", also called Little Powell.